Originally released in platinum three years ago and then in pink gold the following year, A. Lange & Söhne returns to the Richard Lange Jumping Seconds at SIHH 2019, now with a white gold case with a black dial. And unlike the earlier iterations that were limited to 100 pieces each, the new model is part of the regular collection. 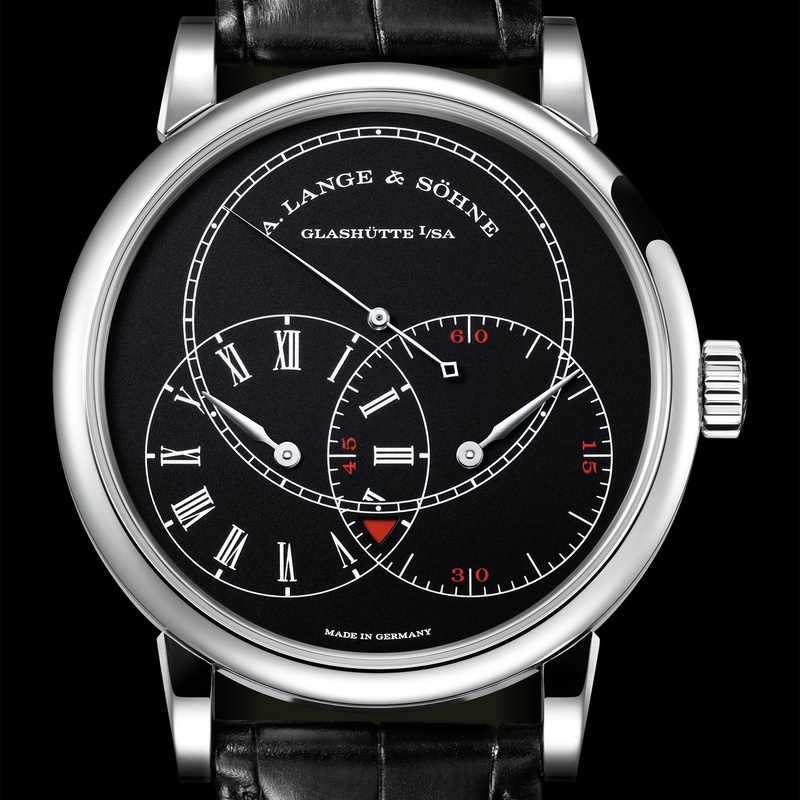 To recap, the Richard Lange Jumping Seconds is a regulator-style watch with overlapping sub-dials for the seconds, minutes and hours, arranged in a triangle. The significance here is the inverted colour scheme of the grained black dial with white printed tracks and Roman numerals. The look is somewhat reminiscent of Richard Lange Pour le Mérite in white gold of 2016. 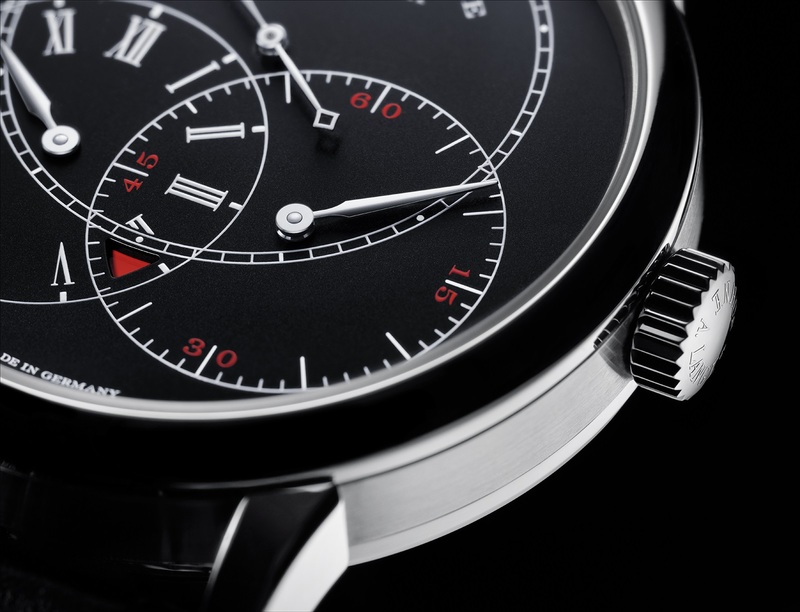 Visual interest is maintained via red accents on the quarters of the minutes sub-dial. Additionally, a small triangular cutout at six o’clock serves as the power reserve indicator, showing red when the mainspring is nearly empty. 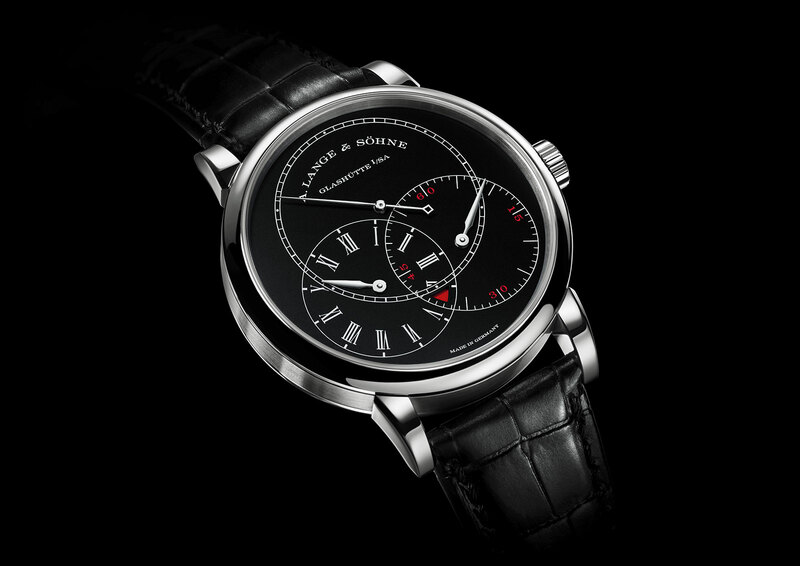 Unusually for a regulator watch, the seconds hand is most prominent, being on the largest sub-dial at 12 o’clock. The reason for this is the deadbeat seconds function, where the seconds hand ticks in one-seconds steps like a quartz watch. This represents a nod to 19th century watches when deadbeat seconds pocket watches were conceived for easier synchronisation of the time. Most modern deadbeat seconds are designed with what is fundamentally a regular movement, but with an additional gear train to create the jumping seconds function that serves no genuine timekeeping purpose. 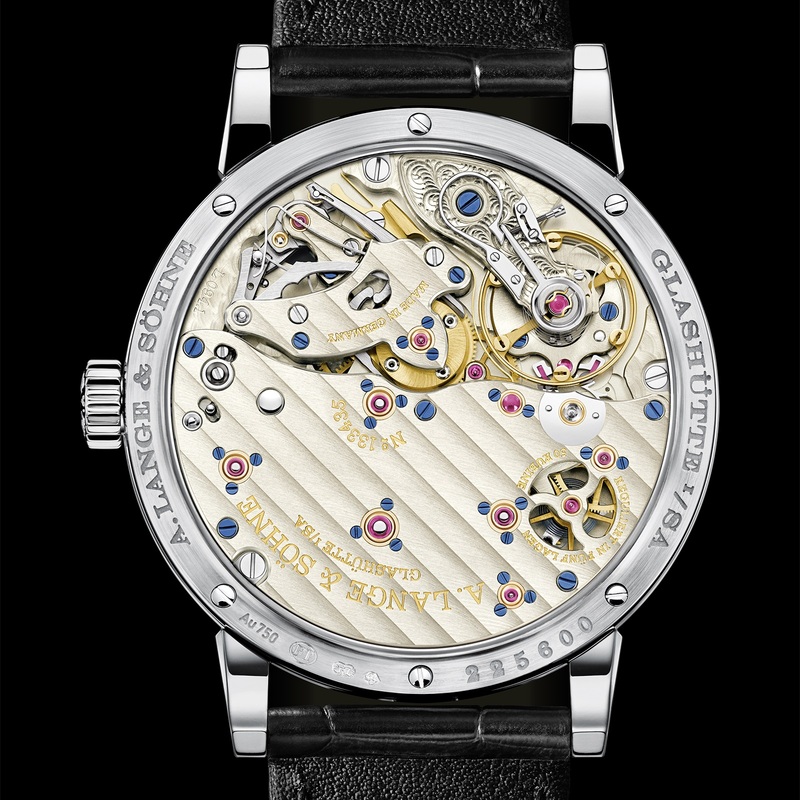 The L094.1 movement in the Richard Lange Jumping Seconds, however, was designed from the ground up with a remontoir, a buffer spring that serves as a constant force mechanism by smoothing out the varying torque from the mainspring as it winds down. The remontoir delivers controlled, consistent bursts of power to the regulating organ of the timepiece. Isochronism is therefore improved and thus, accuracy is maintained independent of the remaining power in the mainspring. The remontoir inside the L094.1 is designed to recharge every second, making it perfect for driving the jumping seconds hand. The priming of the remontoir is visible through a cutout of the movement’s massive half-plate. Meanwhile, the other half of the movement houses both the auxiliary geartrain for the jumping seconds and a plethora of levers. These levers form another feature of the movement – the second hand resets to zero and stops when the crown is pulled out, making time setting more precise. As with Lange’s mid to high-end watches, timekeeping is further improved by having a freesprung balance wheel coupled with an overcoil for the hairspring. 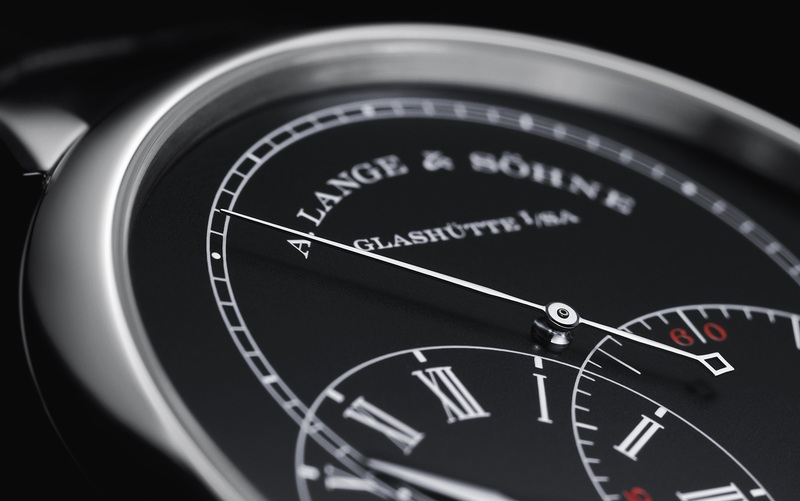 The Richard Lange Jumping Seconds in white gold with a black dial (ref. 252.029) is priced at €71,000 including 19% German tax.